People stretched as far as I could see. Young, old and every age in between, all standing in lines for hours to receive food. What most shocked me was the number of children. There were just so many of them. So many hungry eyes. 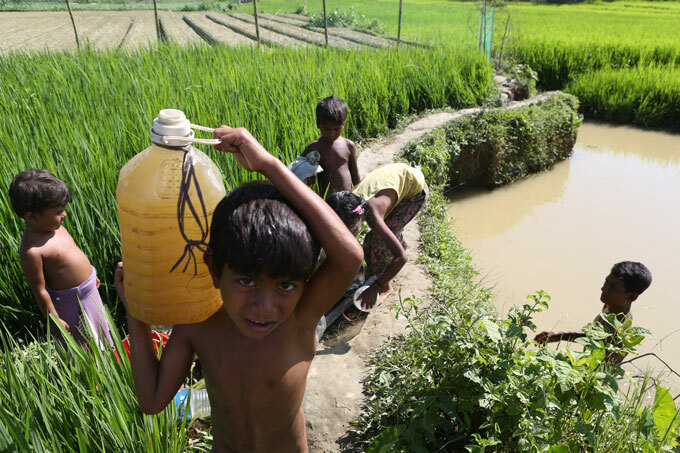 This was not only in the Kutupalong camp, but in Balukhali, Thangkhali, Hakimpara – in all of the camps and settlements. Instead of playing, or going to school, children were in line everywhere for food, house items or materials for them and their families’ temporary shelter. 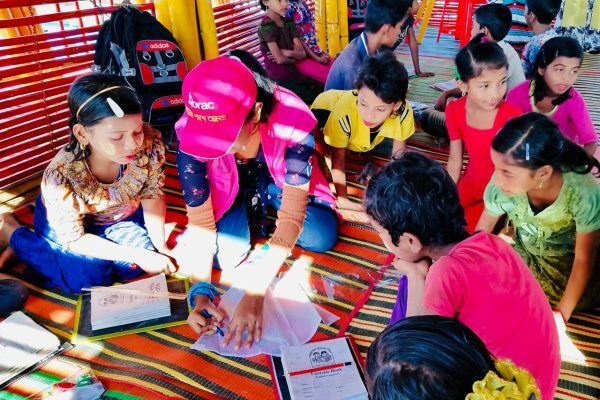 Manjur Morshed, a social services officer in the district of Cox’s Bazar, revealed a depressing number; their team has identified 36,000 orphaned Rohingya children. I thought about the incidents that happened in 2014 and 2015. Thousands of people trafficked to Malaysia and Thailand through the Bay of Bengal. Countless children who fell victim to human trafficking. The memories of those mass graves in the jungles that bordered Malaysia and Thailand will haunt me forever. Will these orphaned Rohingya children become victims to a second manmade tragedy now, just as they thought they had reached safe shores? The issue is now known to everyone. Over half a million Rohingyas have entered Bangladesh since 25 August 2017. Half of them have been identified as children. When I see faces of the children, I think of my 11-month-old boy. I cannot stop imagining all the children here becoming victims of human trafficking and ending up floating in the sea instead of playing happily like him. What were the sins of these children? Why are they here? 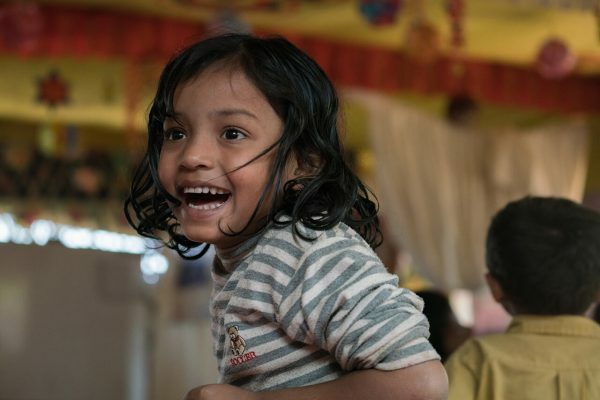 I saw a four-year-old child at the child-friendly space at Shamlapur. He had his one-year-old baby brother on his lap. The atrocities of humans have forced a four-year-old to become the sole guardian of his baby brother. Journalism was my passion and profession before I joined BRAC. I covered trafficking and migration for 12 years. The Rohingya crisis is not unknown to me. I have also visited the Rakhine state of Myanmar where the people have been the victims of these atrocities for a long time. I saw many Rohingyas with refugee cards, not only in the camps of Bangladesh, but also in Malaysia and Indonesia. 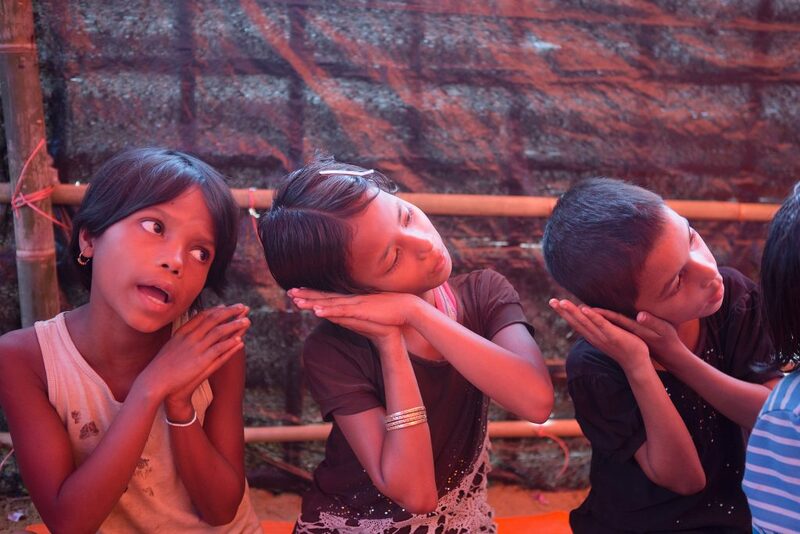 They said if they were in Myanmar, they would surely die. If they crossed the sea at least, they has some kind of chance of surviving. The right to life is a fundamental right for everyone, everywhere. Rohingyas have been deprived of their human rights in their own country for a long time though. They have been coming to Bangladesh as refugees since 1978. Rohingyas are the world’s most helpless people according to the United Nations. The number of arrivals has surpassed 625,000 in the last three months. I have been anticipating that this was going to happen since September. I remember discussing it with Gias bhai, a local journalist in Teknaf, on 27 or 28 August. He said even then that Myanmar would probably not keep a single Rohingya this time. I told BRAC’s emergency management committee, after that conversation, that 7 to 9 lakh Rohingyas may arrive this year, and that we should be ready to take on the challenge. What we are doing now, in providing humanitarian support to the Rohingya refugees in Cox’s Bazar, is being appreciated worldwide. BRAC’s total coverage (based on sanitation) is 494,560 people. 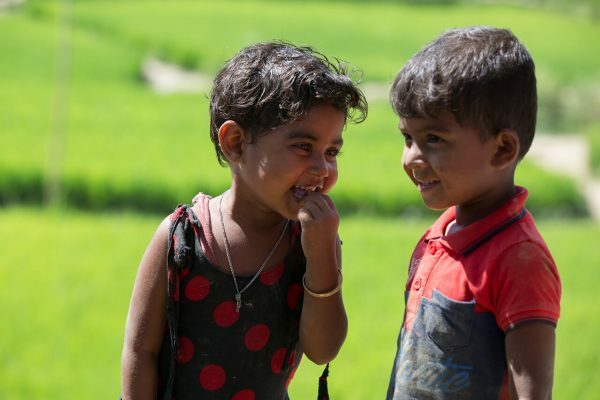 Apart from all our work in health, water, hygiene and sanitation, BRAC has helped to deliver 252 babies, and 183,027 blankets and 152,354 sets of children’s clothes have been distributed for protection against the cold. 31,112 children received recreational support through 200 child-friendly spaces, and 387,263 children received high energy biscuits. A total of 3,488 trees have been planted in the makeshift settlements and the host community, to contribute to afforestation, and 13,253 households have received vegetable seeds both in the settlements and host community to boost their food security. Among everything we are doing though, the child-friendly spaces touch my heart the most. The hundreds of children, across the settlements, playing and singing. Anyone can feel the happiness in their chorus even if you do not understand the Rakhine language. In Shamlapur, I found eight-year-old Bahar, six-year-old Rahman, nine-year-old Jaber, and many other children. Every one of them was so happy to be in Bangladesh. I asked them why, and they said they knew Bangladeshi people to be good. They knew that they would not be killed here. There are a number of paintings hung on the walls at the child-friendly spaces. The children have painted them. In one picture, I saw the cartoon character of Meena, but she was crying. I was crying when afterwards I saw the database in the Ukhiya sub-district administration building. 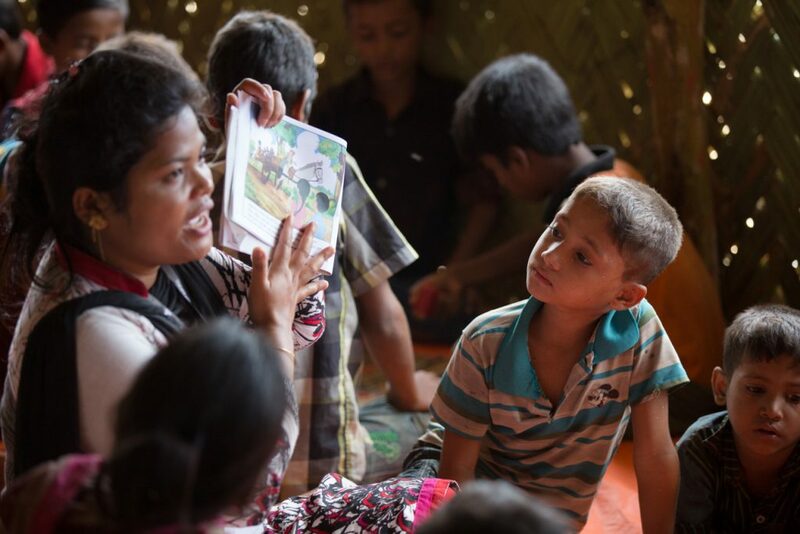 I do not know what the future holds for these 36,000 children, or the 350,000 children in total who are already here, or any of the Rohingyas fleeing to Cox’s Bazar. But we have to figure it out, otherwise we will all be responsible for this crime against humanity. Shariful Hasan is the head of BRAC’s migration programme.